Κτισμένο το 2000, το Lund house αποτελεί ξεχωριστό σημείο σε Κιότο, καθώς και έξυπνη επιλογή για τους ταξιδιώτες. Σε μια τοποθεσία μόλις 5 km από την συναρπαστική ζωή της πόλης, αυτό το 1 αστέρων ξενοδοχείο αποτελεί ένα εξαιρετικό μέρος και παρέχει εύκολη πρόσβαση στα μεγαλύτερα αξιοθέατα της πόλης. Με την βολική του τοποθεσία, το ξενοδοχείο προσφέρει εύκολη πρόσβαση στους προορισμούς της πόλης που πρέπει οπωσδήποτε να δείτε. Το Lund house προσφέρει επίσης πολλές εγκαταστάσεις για να εμπλουτίσετε την διαμονή σας στη Κιότο. Κατά την διαμονή σας σε αυτό το υπέροχο ξενοδοχείο, μπορείτε να απολαύσετε τα δωρεάν WiFi σε όλα τα δωμάτια, ημερήσιος καθαρισμός, κατάστημα δώρων/σουβενίρ, αυτόματο πλυντήριο, ενοικίαση φορητού wi-fi. Το ξενοδοχείο διαθέτει 3 όμορφα διακοσμημένα δωμάτια, πολλά από τα οποία περιλαμβάνουν καθαριστής αέρα, κρεμάστρα ρούχων, δωρεάν τσάι, δωρεάν ποτό καλωσορίσματος, θυρίδα. Εξάλλου, το ξενοδοχείο διοργανώνει πολλά ψυχαγωγικά δρώμενα έτσι ώστε να έχετε πολλά πράγματα να κάνετε κατά τη διαμονή σας. Όταν ψάχνετε για ένα άνετο και βολικό μέρος για να μείνετε στη Κιότο,το Lund house γίνεται το σπίτι σας μακριά από το σπίτι σας. Ελάχιστη ηλικία επισκεπτών: 16 έτη. An extra fee of JPY 300 per day and a refundable deposit of JPY 5000 are required for the use of Pocket WI-FI. An extra fee of JPY 500 per day and a refundable deposit of JPY 2000 are required for bicycle rental. Οι επισκέπτες ηλικίας κάτω των 16 ετών πρέπει να συνοδεύονται από κηδεμόνα ηλικίας άνω των 18 ετών. The washing machine and detergent are available at JPY 200 per use. The dryer is available at JPY 200 per use. The hostel was very clean, very kind, and very attractive. The hostess even drove us to the station in the morning. I was amazed...and did not expect that kind of service. I recommend this hostel to anyone who is looking for an interesting location and experience. Not wheelchair accessible. I only say no will not come again because of the location. The location is far away from the metro for JR user. I did have nice walks around the stream and bridges. beautiful Nature all around. The Hostess offered to give me ride when I told her I lost my belongings. The bathroom was clogged and the owner immediately fixed it. They do have a cooker and a good lock system. Very big bathroom. Close to grocery store. I walked to a nice department store at night. Location was a bit far from a lot of the temples/the city, but a nice area with lesser known temples and ramen spots all over. It's 3 floors up, not too bad. The showers and bathrooms were clean and didn't have much of a problem there. Curtains on the bed were nice, nice and comfy beds too. The reception is very nice and friendly, Her name is "Mai" if i remember correctly, She introduces us some good sushi and ramen, places to go, Alot of people staying there too, I've met two japanese old couple and a british lady. A korean which we become friends. The place is quiet and relaxing, it's a little bit rural but bus can bring u everywhere you want , dont worry. At the time I stayed at Lund house they had just recently opened. The atmosphere was friendly and homely, with great and very helpful staff. 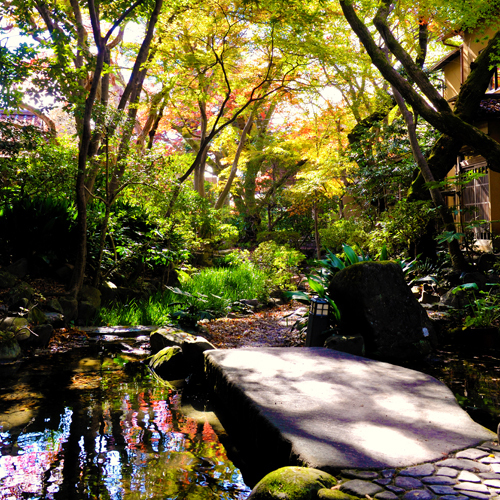 The location is a bit remote (30-45 min bus to Kyoto Station), but therfore the surrounding is much more laid back (giving you more of a town feeling). There's plenty of nice restaurants in the area, as well as a 7/11 and karaoke place next door. If you're into hiking and mountain temples off the beaten track, Mt. Hiei can be reached very conveniently from Lund House. This was my second time here, first time travelling solo. The staff are lovely and you can definitelt get by with little to no Japanese here. 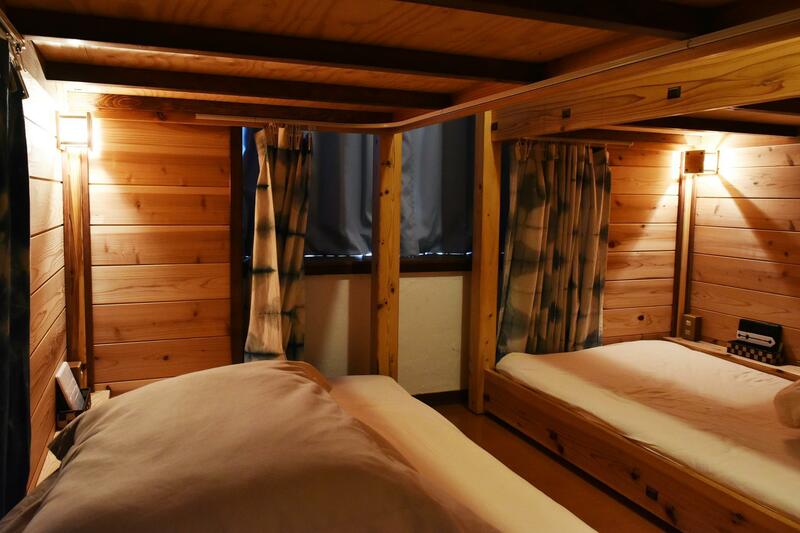 The bunks are private and spacious and the whole place is very clean! There are several bus stops to major destinations very close by and the instructions from lund for how to get there from kyoto station are top notch. Lots of great ramen shops to eat at and the tempura place directly across the road is famtastic! The people there are really nice. We got the private room which was comfy. But the stairs are really steep hence I would only recommend it for young travelers. Lund House is tiny but cozy. 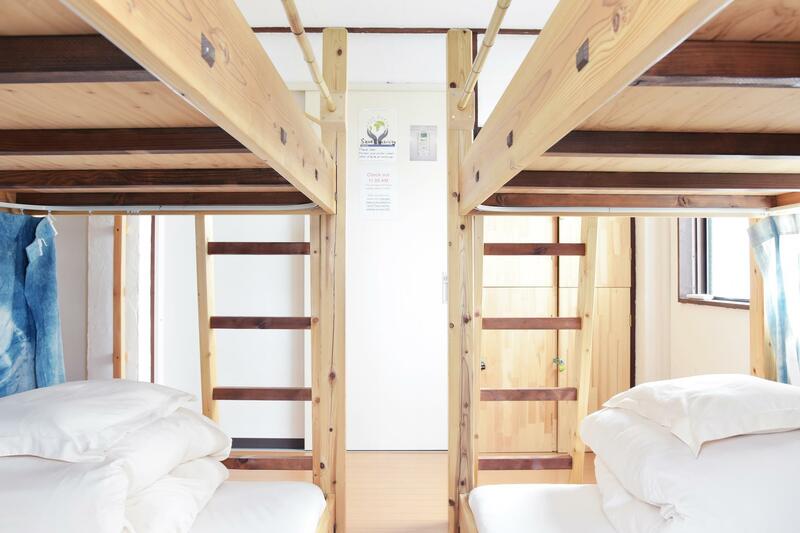 It has everything you need in a hostel (bunk beds with outlets and privacy curtains, clean bathrooms, a cute shared area with sofa and tea kettle) and very friendly staff. 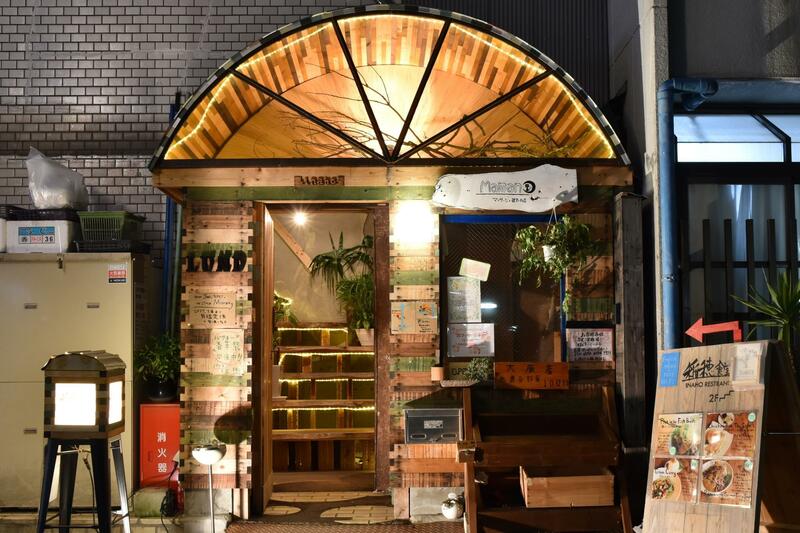 The restaurant in the hostel is tasty, as are the various ramen restaurants nearby. It is near bus routes to get to various parts of the city. Our favorite activity while we stayed at Lund House was hiking Mt. Hiei - highly recommend! It was especially beautiful when we were there in November, as the leaves were all gorgeous colors of red, orange, and gold. The building itself are used as the hostel, really cute bar & cafe and local restaurant on the first floor. Located in the super residential community with lots of students from Kyoto University, (I assume). The general condition of the place is favorable. Our room is neat, clean and large enough to fit 2-3 people with two big luggages. Narrow ladder tho, so you have to climb up to the 3rd fl to get to your room. It must be difficult for ladies and elders. Even it is shown that the guesthouse locates pretty close to the train station. But it's not easily accessed by train. The best way to get to is bus. It would be much better if you do your research on bus lines in advance. I like this place, it is a comfort home for me. Although is a bit far from the town but the bus stand is just 350m away from Lund House. The boss and staff are so nice and helpful. There is a 7eleven just opposite Lund House, and many restaurants surrounded. Overall I like the stay. I had a really nice stay at Lund House. The staff were really nice and helpful, the place is comfortable, and the facility is more than enough for me. 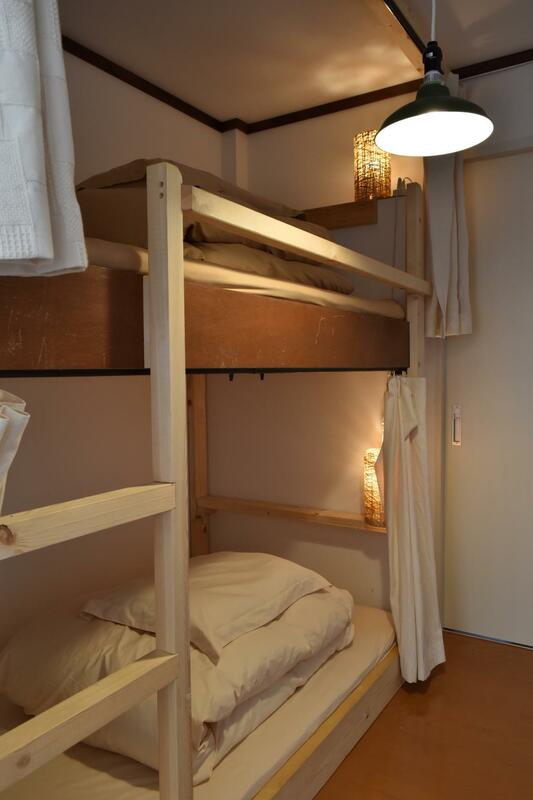 Definitely will consider this hostel if I coming back to Kyoto again. Overall, absolutely loved my (short) time here. If you're planning to do Kurama Temple and/or Kurama Onsen then Lund House is in a very nice location (straight shot by train). Otherwise, some days may have to start by taxi. Highly recommended. Very charming hostel in lovely, more quiet neighborhood. Very helpful and nice staff! This place is run with a lot of heart. Big plus: Amazing Japanese breakfast with organic produce from family farm. The house was a bit difficult to come here form kyoto station but with the help from the tourist information it was no problem. The house itself was really clean and the girl which was working here was absolute lovely and cute. she spoke perfect english and that is in Japan a rarity. I highly recommend a stay at this hostel, it have air conditioning in the rooms, the living there is a comfy couch, you can make your own food ( microwave, heatingplate, and waterkettle) overall a really good and nice house! The building was nice enough, one shower (the other was being "renovated" i.e. had drywall all over it) and two toilets, but I didn't see a single member of staff the whole time I was there. The other travellers were awful to share a room with (loud, rude and/or nosy), and there was little privacy to escape and no staff members around to take care of these problems. You should try their Plum Wine for Free !! It's​ amazing. 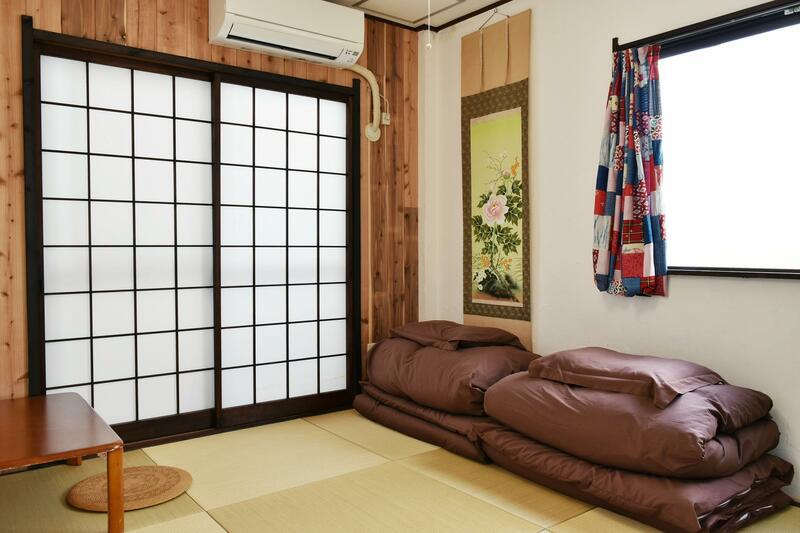 Nice Semi-Ryokan at an affordable price. Excellent English speaking and very helpful staff. A bit far from downtown but only ~300m from several bus and train stops. Σιδηροδρομικός Σταθμός Shugakuin στα 0.72 χλμ.